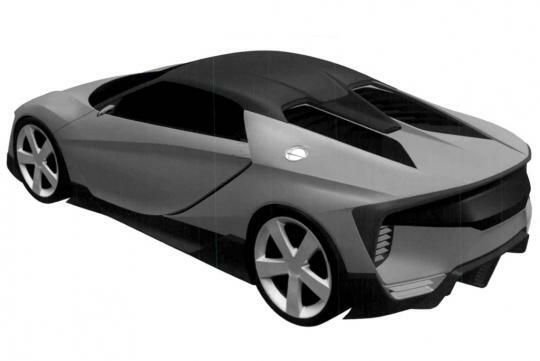 > Is Honda planning a "MINI" Mid-engined NSX? The "baby NSX" lately in the news has been in Honda's idea cloud since before the 2008 global financial rift. The company called it the "Small NSX" and reports said it "will really be a scaled-back version" of Acura's exotic, including the mid-engine layout and a variation of the hybrid SH-AWD. 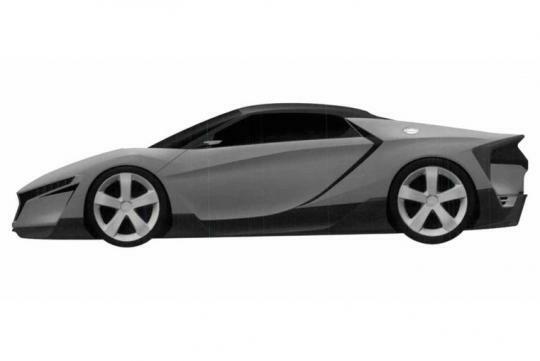 So more than seven years on, when a series of patent images materialize for what looks like an NSX-inspired Honda sports car, it doesn't prove anything, but it fits. Motoring reports that the Small NSX will sit at the top of a lineup of three mid-engined sports cars intended for the Honda brand - but note that Motoring is based in Australia, where our Acura NSX is sold as a Honda. 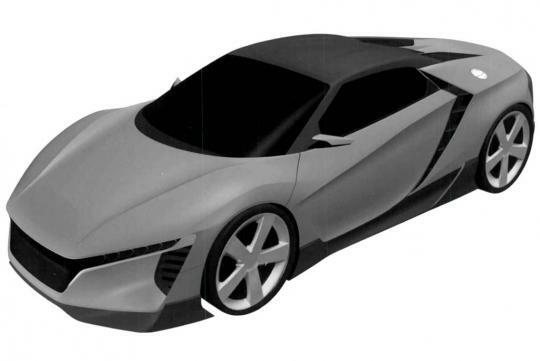 This Small NSX would be a "radical replacement" for the Honda S2000 that ended production in 2009. Beneath it will be a global version of the S660 roadster that could come here as an S1000 with 125 horsepower. The Civic Type R and a much sportier, reimagined CR-Z will put some long forgotten handling chops at other price points in the model mix. Motoring's sources say the Small NSX design work is, "for all intents and purposes, completed." The consistent rumor regarding engine is the 306-hp 2.0-liter turbo VTEC used in the Civic Type R. One electric motor will be in back to help move the rear wheels, two electric motors will hang on the front axle. Overall power output is put at around 400 hp, with 330 hp of that coming from the ICE, working through a nine-speed dual-clutch transmission. An aluminum frame with aluminum and carbon fiber parts will discourage heft, the final product at aiming at a weight under 3,100 pounds. Its price should be competitive with its intended target, the Porsche Cayman. The 2018 Detroit Auto Show is where we might see it, before it goes into production later that year at Honda's Performance Manufacturing Center in Marysville, OH.